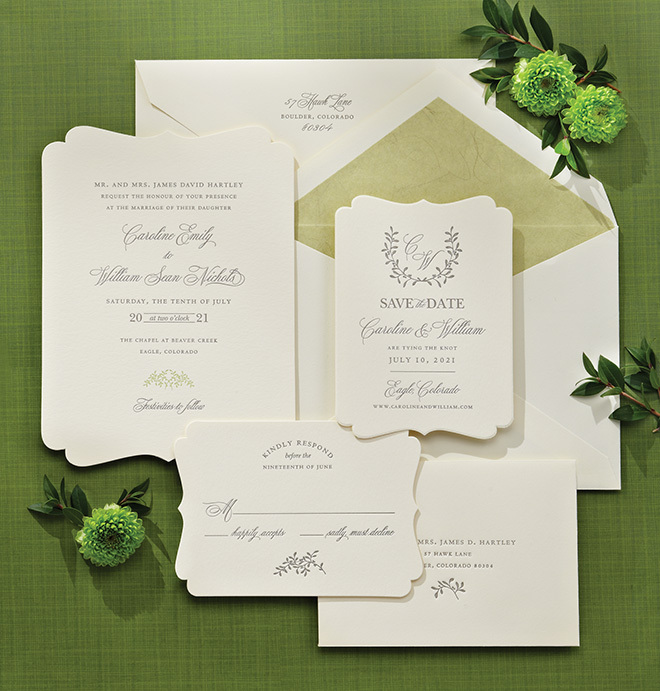 Your invitations are your guests’ first glimpse of what they can expect for your pending nuptials. 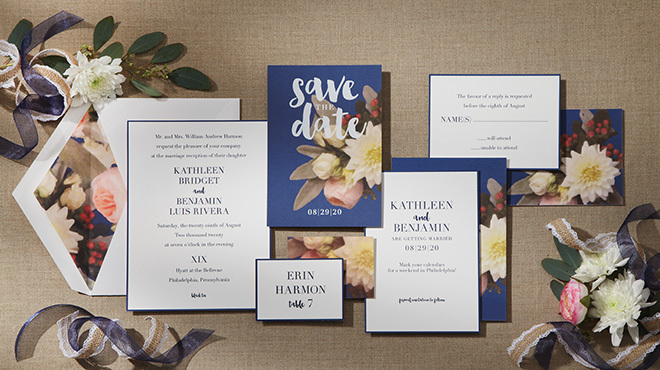 So when choosing your wedding invitations, you’ll want to make sure to convey your wedding theme and express your personal style as a couple. 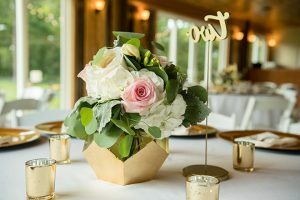 Scroll through these 7 individual invitation styles, then find a local stationer who can design a wedding suite that tells your story, here. 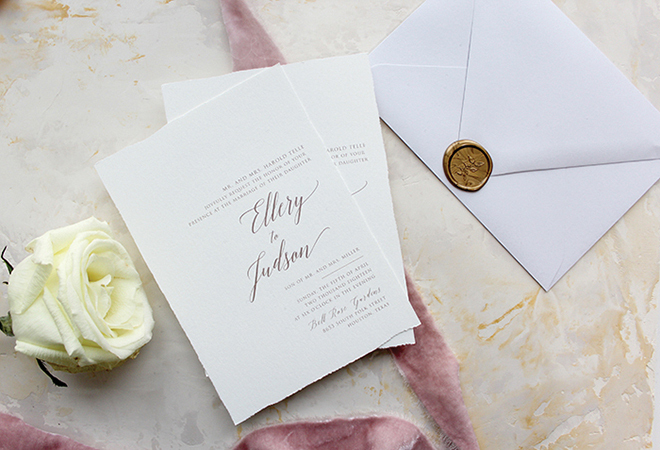 Keep things classic and timeless with a clean-cut wedding invitation suite. Decorative edges add a subtle modern update. 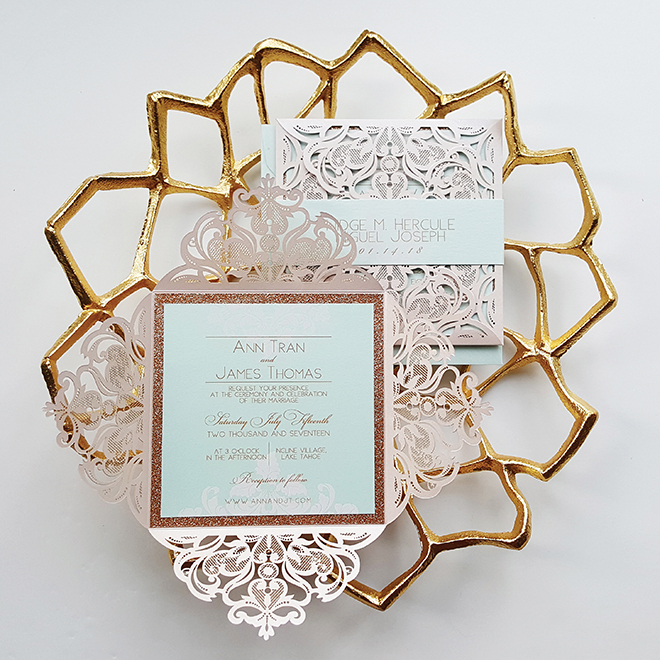 If you’re all about the details, laser-cut invitations allow for a very high level of intricacy. 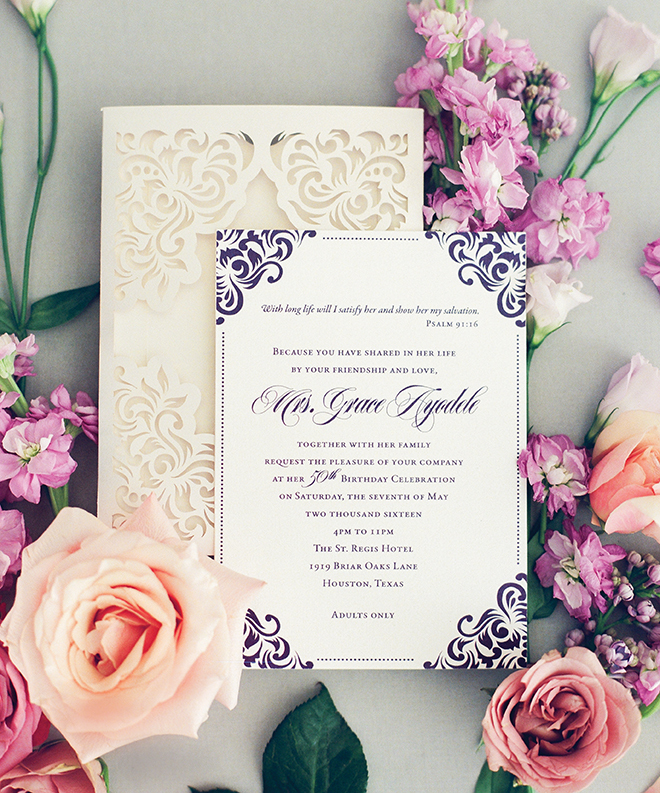 Use this style to mimic the lace of your wedding dress or create an on-trend gate fold invitation. 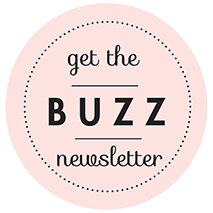 With a minimalist-style stationery suite, make the print style the focus. 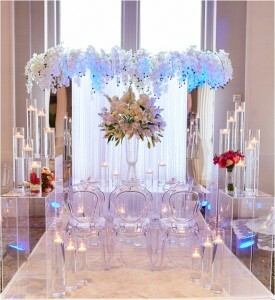 This will ensure the ultimate in elegance, and keep your invitation from being “too” simple. Photo: Swiss Dot Photography | Stationery: Wide Eyes Paper Co.
Hand-painted wedding invitations allow for tons of creativity and color. 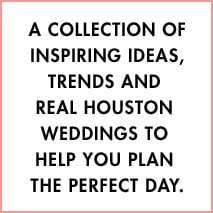 Experiment with your wedding color palette, incorporate motifs of your wedding destination and play with print styles for maximum effect. 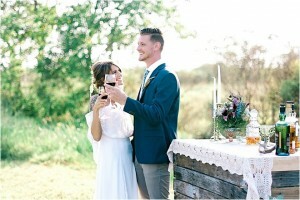 Light colors and effortless script are perfect for a spring celebration or garden wedding. 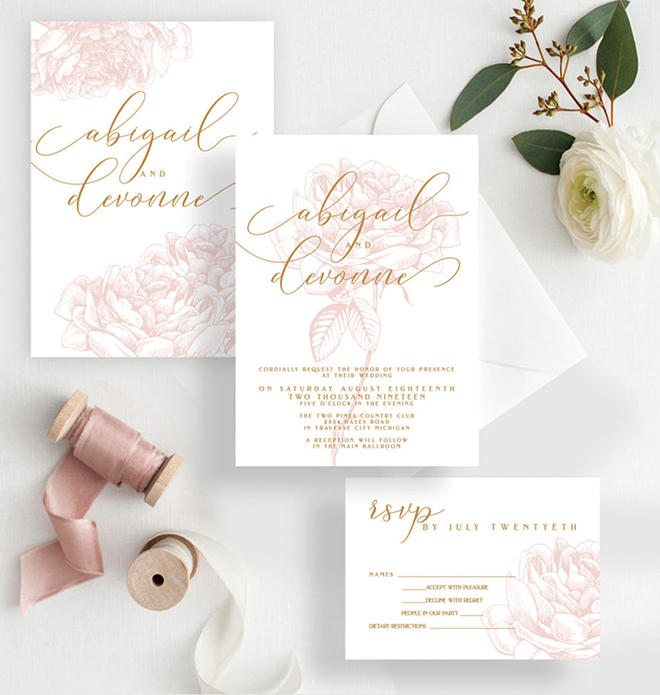 Adding elaborate border designs to your invitations lets you keep things simple (and on-budget) elsewhere in your invitation suite. 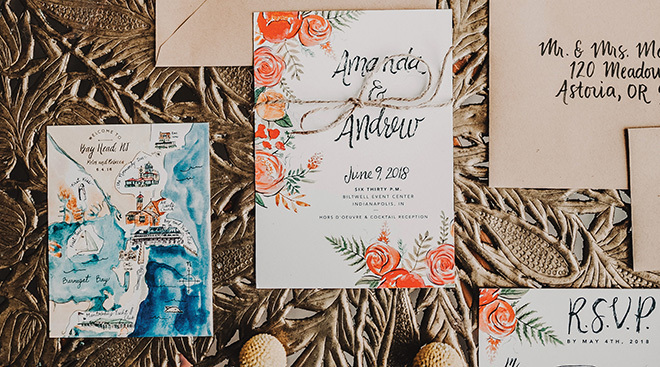 A bold, artistic floral wedding invitation is one of our favorite 2018 invitation trends…and you can see why! 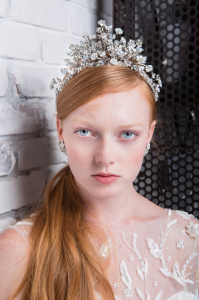 2018 Bridal Accessory Trend Alert: Crowns, Crowns, Crowns!